If You Get Clients by Referral, Do You Really Need a Website? So you’ve been doing business for years, and you’ve had a steady stream of clients through referrals - why is a website so important? What if you already have a website, but it’s not your main source for leads? In this post, I’ll break down why your current website isn’t working for you, and why you should be thinking about having a website for your business if you want to keep your business growing steadily for years to come. Here are 5 ideas for creating social media content specifically for service-based businesses. Use these in your Instagram stories or posts, as well as Facebook, Linkedin, or blog posts - wherever your potential clients are, you can use these to make a deeper connection with them. Before you leap in head first building your website, there are some big steps to take that will ultimately affect the success of your website - and most business owners completely miss it. It's no wonder why so many business' websites never gain the traction (or clients) they're after - they weren't set up for success in the first place. Jungle is a brand and website concept design I created to give some design inspiration for those looking to take their business' online presence to the next level. With its large, full-width image backgrounds and colored banners, it's perfect for businesses who want to make a statement and showcase their work. Take a look at this stunning brand and site I designed using Squarespace's Moksha template. Website Design for SunCore Corporation. SunCore is a solar charging company based in Irvine, California. As emerging leaders in their industry, they knew they needed a new website that represented the quality of their technology and products. When we began working together, their website had served its purpose, but was too simplistic - they wanted a stunning website that would captivate viewers and draw them in to learn more about their work. Take a look at the stunning new website I designed using Wordpress. Brand & Website Design for Wedlocks Bridal.  Lindsay came to me knowing she needed a new website, but wasn't sure where to start. She had put together her site using Wix, but over time she felt it was a bit too simple and a little outdated. Take a look at her beautiful new site I designed using Squarespace. Got a ton of ideas swirling around your head and feeling overwhelmed with where to even start when it comes to marketing your business online? Click through to the blog post where I'll give you a FREE tool to help you map out your online marketing strategies and give you the 7 easy-to-do steps, so you know exactly what to do to get where you want to be in your business. “How do I get more followers on Instagram?” It’s the question I hear most often from people wanting to grow their business with social media. In this post you'll learn the 3 things I’ve been doing to organically grow my audience with the right people, and get the same, if not more, likes and comments per post than people with 10k+ followers in my industry. Ever feel overwhelmed with what you should really have on your homepage? It's all about igniting intrigue within your visitors, and encouraging exploration into your site, getting them to click, engage, and take action. In this post I'll show you the 10 key features you need to include to make a killer homepage for your website or blog. It can be so frustrating and disappointing when you’re putting in the hard work, but your blog or business’ website isn’t growing like you thought it would. You've been posting in social media groups, creating blog posts, pinning, 'gramming - and still, crickets. What's the deal?! I’ve put together the top ways to make your blog or website more popular, and more profitable and a FREE guide to help you along the way! Want to create gorgeous graphics for your business and blog? In this video tutorial to show you how I create everything from blog post images, Instagram posts, Pinterest graphics, Facebook ads, website banners, to printable pdfs with Canva. Canva makes it super easy to create custom designs that look professional at the same time. They offer tons of templates, layouts, and design elements & features, so you don’t need to have design skills to use it. Stunning website design doesn’t mean stellar sales. A big mistake people make is focusing too much on the design of a website and ignore planning for profitability. The good news is there are easy ways to make your site more profitable without having to deal with any "tech" stuff. Check out this post with 6 of my favorite, super easy tweaks to make more money from your website. Having an email list is like having a goldmine in your backyard. It’s a way to build an audience of fans that are engaged and excited about what you have to offer. So whether you have a brick-and-mortar store, sell products or services, or have an online-based business, having an engaged email audience allows you to connect with potential customers, provide valuable information, and of course, sell your stuff! From time sheets, to task productivity & project management, to scheduling, these tools will help you manage your team more effectively...and hey, they might even save your sanity too! How to use social media to engage and build relationships with leads + current clients. Make your small business stand out from the competition by avoiding this big social media mistake.